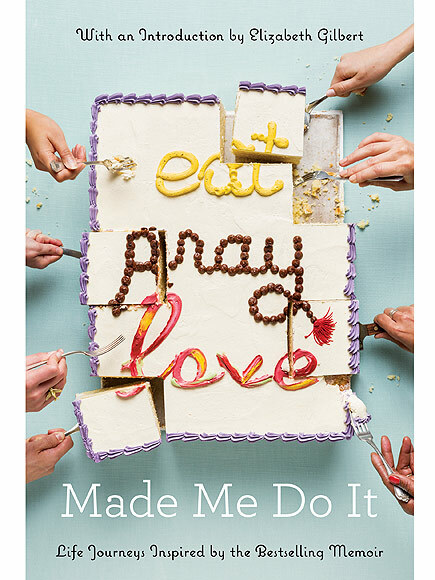 It is with great pleasure and excitement that I can finally announce that my essay has been chosen for inclusion in Elizabeth Gilbert’s new anthology, Eat Pray Love Made Me Do It! This spring marks the 10-year anniversary of the publication of Eat Pray Love, that wonderful book that has inspired so many people around the world to embrace the life they want to lead. I must have read the book at least 20 times (and seen the movie just as many), and every time I read it, I find myself truly inspired to live my best life and be truly inspired by the world around me. I’m sure millions of women say the same thing, but when I was struggling through my divorce in 2010, the words of Elizabeth Gilbert felt as though I was being comforted by the most caring of friends, and ever since I first read the book I’ve considered that amazing woman some kind of guru (as both a life coach and a writer!). I’m one of nearly 1.5 million (that’s right, MILLION!) followers on her Facebook page, and when I saw the call for entries for the anthology, I knew I had to enter. That was back in May of 2015. I forgot all about my entry as Steve and I traveled through Sri Lanka, Brunei, Malaysia and Cambodia. I was still oblivious to it when we got married in Thailand in August and then traveled back to our home in San Miguel de Allende, Mexico. But then, one sunny September morning, I opened my email to the words, “Congratulations! I’m delighted to inform you that your essay has been selected for inclusion in the Eat Pray Love Made Me Do It anthology.” To say I was excited is a massive understatement. I immediately hyperventilated and had to sit down, scaring my poor husband to death. I’ve been bursting with excitement ever since. Yesterday, the cover of the book was revealed in a People Magazine article interviewing Liz, and she shares why she thinks this book of essays is so special. There were over 2,000 entries, and I’m so honored to think that Liz personally read mine and chose it for inclusion with the other 40-some essays: Congratulations to you other fabulous essay writers! I can’t wait to read your stories of transformation too! Eat Pray Love Made Me Do It will be released on March 29th, and it’s available for pre-order on Amazon. Thank you Liz and Riverhead Books for including me, and thank you to my amazing husband Steve for putting up with me as I squeal with excitement every time I think about being a part of this book. PS I’m so excited that I even have a line about me in the book description (and here’s your essay teaser), “One writer, reeling from a difficult divorce, finds new love overseas.” Woop Woop! That’s me, finding love with Steve! Thank you Mig! Yes, you were there through it all and I thank you for helping me so much! (And drinking wine with me and letting me cry all over you!) I am blessed to know you too, and I can’t wait to see you in only about 7 weeks! Love you too! Holy crap! That is beyond awesome. Elizabeth Gilbert is my favorite human.